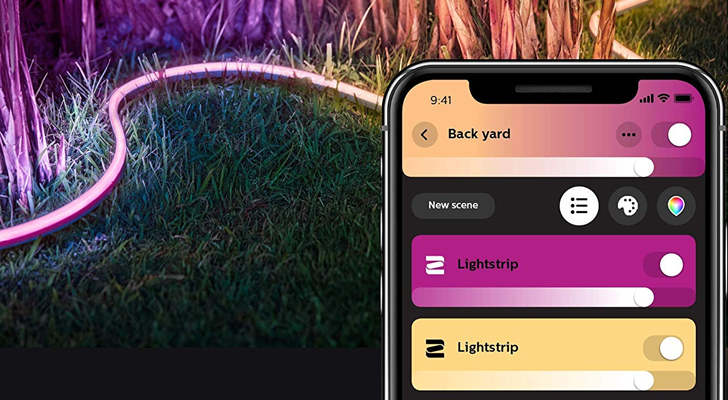 The Hue light strip is fully weatherproof, and measures seven feet (2 meters) in length. You can use the Hue app to change colors and patterns. As with all Philips smart home products, it can be controlled with Alexa and Google Assistant. The only downside is that you'll have to buy a Hue Hub separately if you don't already own one.